The topaz is one of the most famous gems in the world. It is prized for its perfect transparency and hardness. In jewellery the most popular are blue and London topaz, which enchant and dazzle with their dark blue color. However, topaz is much more than a blue stone. The topaz is a rhomboid mineral that is, in nature, mostly colourless and transparent. However, it can also be found in varieties of colours - blue, gold, brown, honey yellow, red or purple. Its wide spectrum of hues is due to the presence of metals. Its name is derived from the island of Topasos in the Red Sea, where it was first found. In nature, topaz is found in relatively large pieces - its crystals can be more than 1 meter long and weigh several hundred kilograms. In jewellery blue and gold topaz are very popular. Most natural blue topaz is treated by heat or irradiation. Most often, they are sanded into oval or pear-shaped forms, and the emerald grind is also very popular. Topaz can be found in a wide variety of colours - colourless, yellow, gold, brown, jelly, different shades of blue, red and pink. Red and pink topazes are very rare. Colourless topazes are often used in place of a diamond: they have a similar structure, but the ability to reflect light is not as distinctive in a topaz as it is in a diamond. 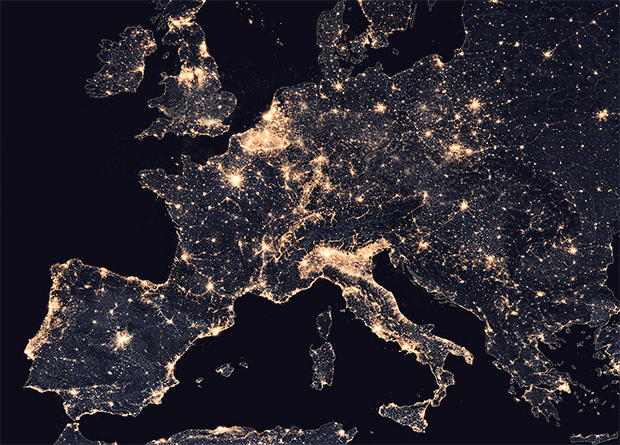 Location: Brazil, USA, Mexico, Russia, Nigeria, Sri Lanka and Madagascar, India, China. The blue topaz is the second most popular gemstone after sapphire. In nature, it is very rare and it is very light, so mainly colour-treated clear topazes are used for jewellery purposes. These treated topazes are mostly irradiated and subsequently fired. There are other different shades of topaz - Sky Blue, Swiss Blue and London Blue. The light blue colour of topaz has a cool hue, as if we were looking at beautiful, blue-coloured ice. This colour calms the soul and mind and awakens in us the desire for purity and perfection. 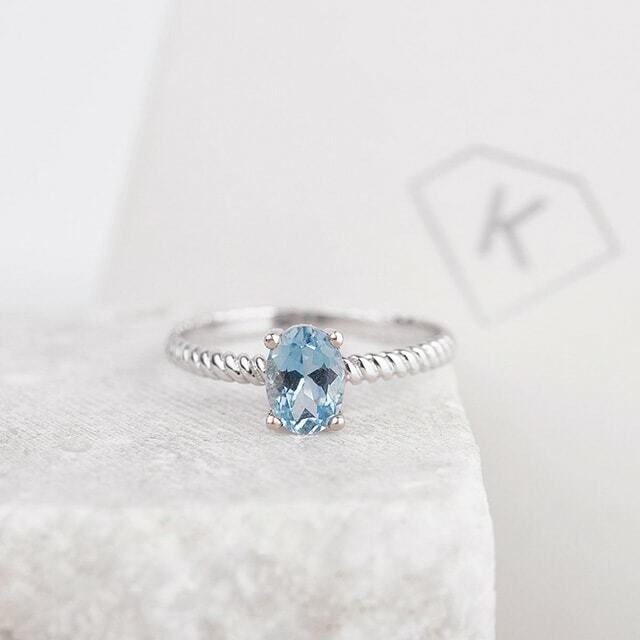 KLENOTA offers jewels with in the classic blue and the London blue, which is the topaz in the darkest shade of blue, sometimes with a gray undertone. Imperial topaz is considered the rarest and most expensive variety of topaz. Its shade is beautifully yellow, with pinkish to reddish tones. Imperial Topaz is very popular and highly sought after jewellery, mainly selected for its gold jewels, which look very luxurious and elegant. The yellow and gold topazes are very similar in colour to the Imperial topaz, but without the pinkish or reddish tinge. They are more common types of topaz and, therefore, are more affordable. The brilliant golden colour inspires and inspirits us. White topaz is often used in jewellery as a substitute for diamonds. However, topaz' ability to reflect light is not so pronounced. Topaz is the stone of the Aquarius and Pisces zodiac signs. Blue topaz is the birthstone for the month of December. People have long believed in the magical ability of topaz. In women it is said to be able to foster beauty, affection and fertility; in men, wisdom, nobility and potential. Ancient Greeks believed that topaz allowed its wearer to become invisible. Egyptians wore topaz as an amulet to protect them from injuries. Did you know that there is a strong magnetic and physical energy in topaz? When you pass it through ashes, it acts like a magnet and attracts the ashes. In ancient times, people believed that nature brings about a strong power from the stone. For example, when a storm approaches, topaz electrifies and creates a strong magnetic field around it to give its owner clairvoyant capabilities. In Hindu mythology, the word topaz means warmth. Topaz is one of the sacred stones of the Hindu tree of life. The Hindu believe that topaz supports intelligence and prolongs life. African shamans consider topaz to be an incredibly sacred stone and thus perform healing rituals with it. The yellow topaz American Golden was found in Brazil. It is one of the largest machined gems and the largest yellow topaz in the world. It weighs 4.6 kg, has 172 beads and its color is a light golden brown. The crude stone weighed 11.8 kg and the processing into its final form took over two years. It is now visible in the collections of the National Museum of Natural Sciences in Washington. A pendant made of rose gold decorated with diamonds with Imperial topaz weighing 97.45 carats. This masterpiece of jewellery was created by the well-known Chicago jeweller Lester Lampert. Thanks to the rose gold flannel shaded diamonds, the unique red color of the Imperial topaz stands out. One of the world's largest cut topazes was found in Brazil and weighs 5,899 carats. It is colourless (white) with a blue hue and cut with a brilliant cut. It is now visible in the Chicago Museum of Natural Sciences. Topaz Eldorado was found in Minas Gerais, Brazil and was named after the legendary golden city of Eldorado. The raw stone weighed 37 kg and was ground into a topaz of 31,000 carats. It is considered to be the largest processed gem in the world. Gia.edu. (2016). Topaz Quality Factors. [Online] Available at: http://www.gia.edu/topaz-quality-factor [Accessed 15 Dec. 2016]. The World of Famous Diamonds. (2016). The American Golden Topaz. [Online] Famousdiamonds.tripod.com. Available at: http://famousdiamonds.tripod.com/americangoldentopaz.html [Accessed 15 Dec. 2016]. Jewelsforme.com. (2016). Topaz Meaning, Powers and History. [Online] Available at: http://www.jewelsforme.com/topaz-meaning [Accessed 15 Dec. 2016].